While many motorcycle crashes involve collisions with other vehicles, a significant number are single vehicle crashes. being thrown from the motorcycle and hitting the road surface. A combination of factors are generally at play in any crash. These include the behaviour of the drivers of other vehicles, the riders themselves, fauna on the road, whether excessive speed is involved and other factors such as the influence of fatigue, alcohol or other drugs. The engineering of the road surface and environment can also have an impact on both the possibility of avoiding a crash, and on the severity of injury to a motorcyclist, should a crash occur. Motorcycles are especially vulnerable to collisions on bends and curves, where deceleration, leaning and acceleration occurs and the stability of the motorcycle is at stake with loss of friction and control more likely. DPTI utilises the Austroads “Guide to Road Design” series of 15 design documents as the basis for the design of road infrastructure for which the Government has care and control over. These documents are an outcome of collaboration between the various State Government Transport Agencies to enable a consistency of road design across the various road networks. The Guides address design practice across the range of road categories, from major roads to local roads. They also recognise that the design of roads should be based on the capabilities and behaviour of all road users, including motorcyclists, and on the performance and characteristics of vehicles. Motorcycle safety in the Adelaide Hills has been improved with the extension of motorcycle barriers along roads such as Lyndoch – Chain Of Ponds, Tea Tree Gully – Mannum, Cudlee Creek – Lobethal, Aldgate – White Hill, Blackwood – Goolwa Rd, Stirling – Strathalbyn, Callington- Goolwa, Paris Creek Road (Meadows- Strathalbyn), Main South Road, Gawler – Kersbrook, Magill – Lobethal Rd, Burnside – Balhannah Rd, Barossa Valley Way Gorge Road. The barriers are designed to absorb energy during impact and deflect a rider away from the impact point. Shielding riders from hitting roadsides hazards. 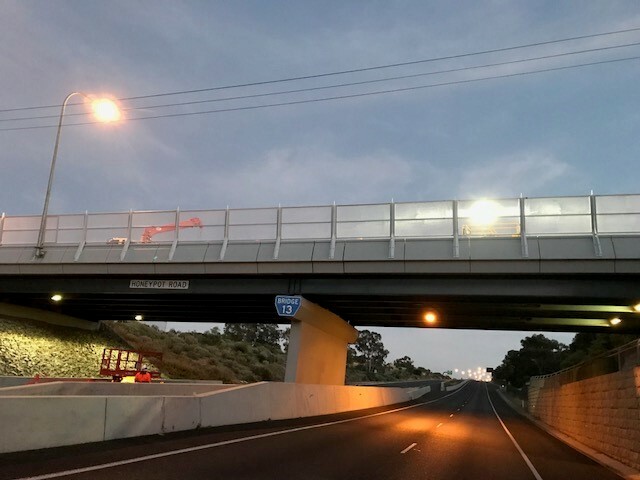 Motorcycle Protection Steel Rail comprises a continuous galvanised steel flat screen that is attached to the existing barrier by an arm at each post. The MPS steel rail may be curved in the field and is terminated behind posts on both approach and departure. In addition to this, more motorcycle safety works have been carried out following the completion of South Australia's first motorcycle-specific road safety audit to identify safety issues on roads in the Adelaide Hills with high motorcycle crash rates. This includes the installation of new signage and line marking, identifying sharp bends to help guide motorcyclists and improving sight lines at intersections by minor re-alignment of the road or junction.